Posted on Jan 23, 2015 by poetmorgan under Being human., History., Sailors stories. and to all the men who ever served on Barham. The Second World War was long and unremitting for the men who served in the Royal Navy. For them it was a global war. From the Arctic to the tropics they died. “The undersigned declare that the German Navy was educated by their leaders to respect the written and the unwritten laws of the sea…We have always seen it as fitting our honour to keep these laws and to conduct the combat at sea in a chivalrous manner…”!!! It is difficult to understand what this means. Are there chivalrous as well as unchivalrous ways to cause men to be shattered and to drown? War is plain dirty and nasty and that is all. The campaign for the Mediterranean was long costly and eventually successful. The cost in ships was considerable. These narrative verses are a fiction based loosely upon events in this campaign and on the strange case of the “Barham Witch”. It is a little known fact that the last trial of a so-called “witch” took place in 1944. It was more associated with state secrecy feeling the need to silence a psychic than on any real belief in witchcraft. 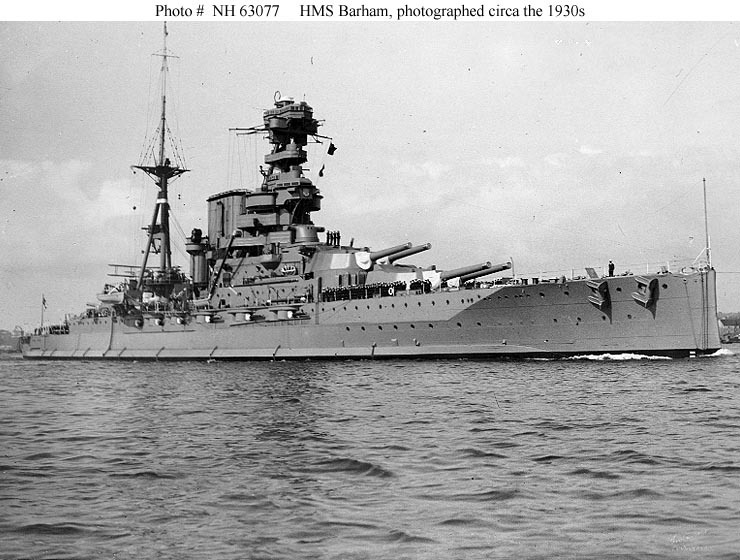 Relatives in Portsmouth were to find out about the sinking of HMS Barham first from a clairvoyant who was strangely accurate before the news of the tragic sinking was released to the press. 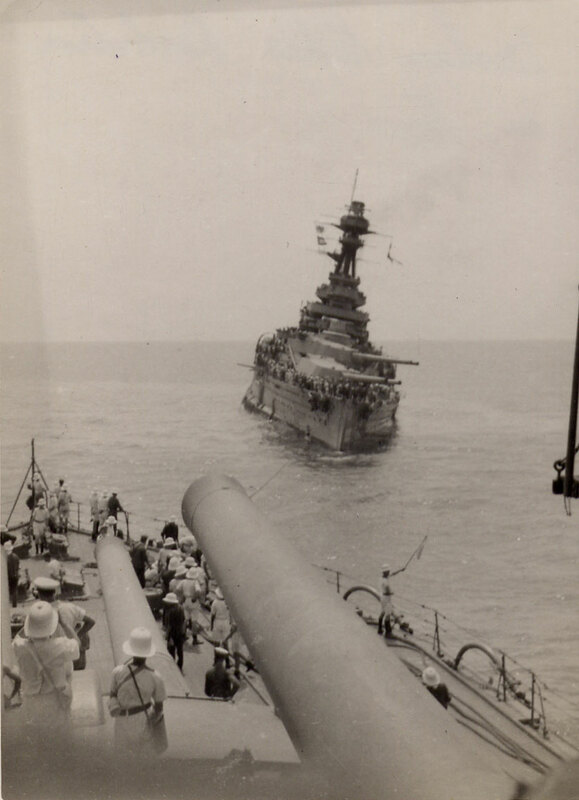 On many documentaries we have seen the film a battleship rolling over with many of her crew running across the upturned hull before she sinks. 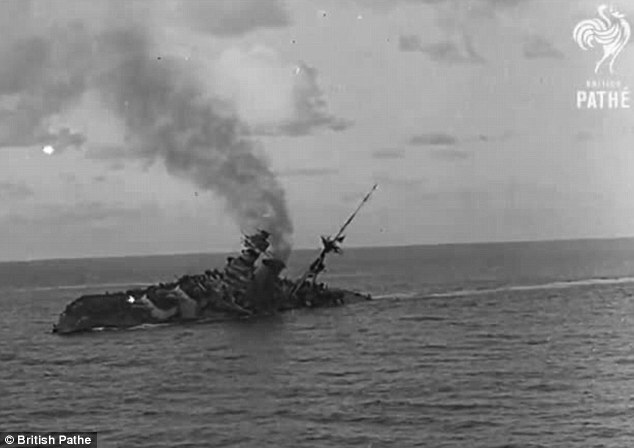 This is a film taken by the Barham’s own spotter plane as her task force zigzagged to try to evade submarine attack. There was a great loss of life and the submarine skipper got an Iron Cross for his work that day. I heard as a child a story of a widowed mother who lost her only son on the Barham hanging herself in the late 1950s. She too and those like her who died in that campaign was also a casualty. How can so many drown? Why did you have to come today? Why did I seek for you? [i] The last trial for witchcraft in England was held at the Old Bailey in 1944. Helen Duncan was convicted after she told relatives of sailors killed when HMS Barham was sunk that they were dead and the ship was sunk. At the time the sinking of the Barham was kept an official secret and it is not clear just how Helen Duncan could have known. Some still assert that she was genuine and dead sailors’ ghosts came to her and told her of the ship’s loss. [ii] “A war widow was found hanged in the hallway of her house. The estate agent handling the sale of her house entered the property to show a potential buyer around. It was then that he found her…”News paper report in the local press. Verdict… “she had taken her own life whilst the state of her mind was disturbed”…Coroners report, Portsmouth, England, June 1955. Posted on Jan 2, 2015 by poetmorgan under Being human. 2002 was a bad year. I was put through a bit of a mincer. My emotions ended in tatters and I was depressed though not clinically depressed, just hacked off by events. It is clear to me that emotions are the key to poetry composition. One November morning I sat down at eight o’clock in the morning and started to write a sonnet. I wrote seven in quick succession. On finishing the seventh I looked up at the clock it was twenty eight minutes past eight. I have not since amended these sonnets in any way. To me they show the powers of emotions as a creative force even in bleak times. After putting all my misery down on paper my moods changed. When at the very top all roads lead down. I had been at the very bottom and there all roads were leading upwards to new and uncharted territory.